This section assumes you are purchasing a new piece of land for a new build; if so, then the acquisition of that land will be a crucial phase of your project. Go back to the overall strategic aims of the project. 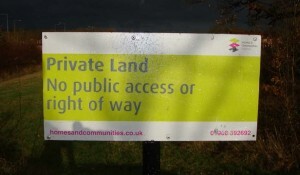 How does a particular piece of land fit with those aims – would it positively help, or might it actually frustrate them? Is the land you are considering located at the heart of the community you are trying to reach? Does that matter for what you are trying to achieve? Some churches try to place themselves at the geographical centre of their community; others are content to take a warehouse on an industrial estate. The latter is normally a cheaper option but may not be the best place for a community café or for mums and tots to get to with buggies. How does your current congregation get to where you meet? Work out the area you would need in square metres and remember to add the necessary parking, entrance routes, external landscaping, pedestrian access etc…. In a recent informal survey over 50% of new build churches had outgrown their premises within 5 years. Finding the right site means keeping a balance between faith and financial caution in the right equilibrium. TIP: 1 acre = 4,046sq m = 0.4 hectares. When you are looking at specific piece of land, it is essential to know what your local Council have in mind in their long term plan – it is part of their job to control development, to ensure the right activities get put in the right places. Any vacant plot of land will therefore have been categorised – you can find this information from the Local Plan on your Local Authority website. It is well worth engaging with the Local Authority to work with them to find the right site in an appropriate location – your local Councillors are usually the best place to start (see section 2.2). Once you have identified the right piece of land, use a professional negotiator to agree a price. Church Growth Trust could help you with this, including the negotiation of a lease or a purchase (you can contact them through the Project Help Panel in the sidebar). And when it comes to the purchase, make sure you use a solicitor to draw up contracts, agreements, title deeds etc.